I’ve been a bit lazy getting this post sorted out, but its been partly due to being really busy in real life recently. 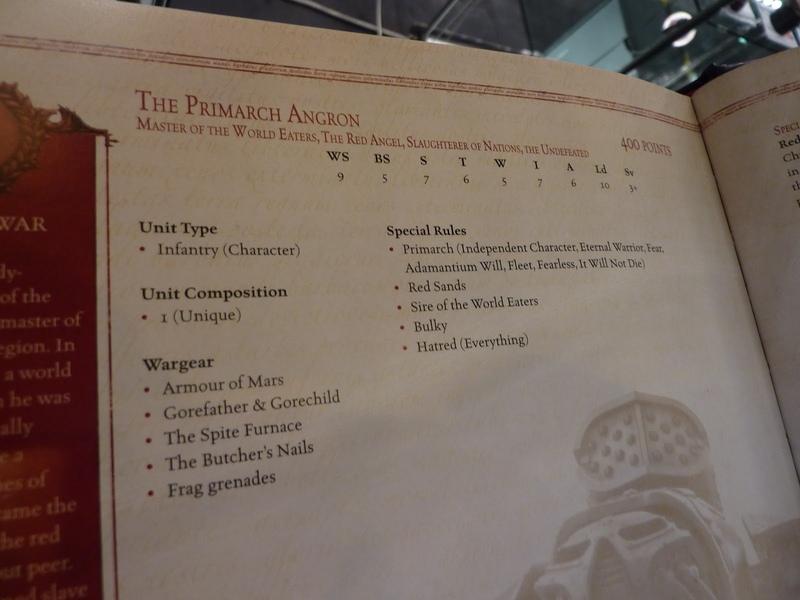 Now, a few weeks ago, a whole bunch of #warmongers, myself included decided it would be an awesome idea to build and paint armies consisting exclusively of Forge World models (unless they don’t make something, see the rules here). My army of choice will be pre-heresy Imperial Fists. 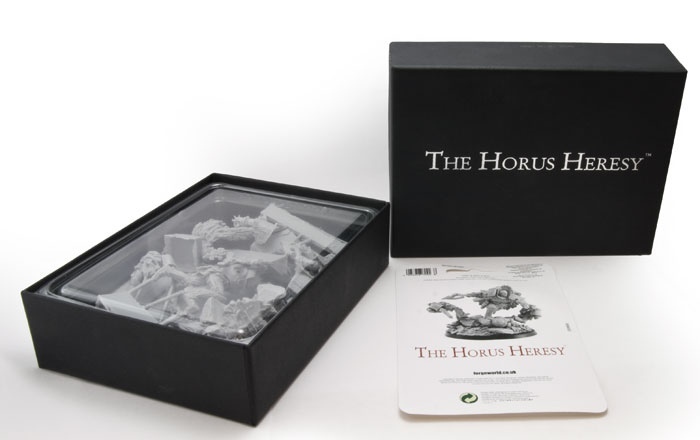 Unfortunately, I haven’t got the Horus Heresy book for the Legion army list, so I’ll be using Codex:SMs for the rules. Not buying the book leaves more money for models after all! I’ve not made a lot of progress really, due to life getting in the way of hobby time 😦 Just assembled half a squad of Tactical Marines. But, I do have something quite special on the way soon! Stay tuned. 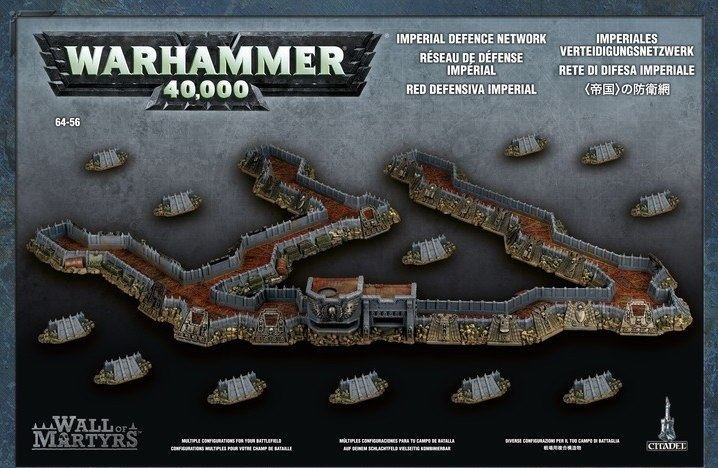 Here’s a picture of the Warhammer 40,000 Imperial Defence Network, the modular trenches first seen in the new Codex: Chaos Space Marines. It’s rumoured to have a price tag of €140, or approximately £112. It’s a huge terrain piece, and looks a bit like the trenches in the video game Space Marine. My Chaos Sorcerer. 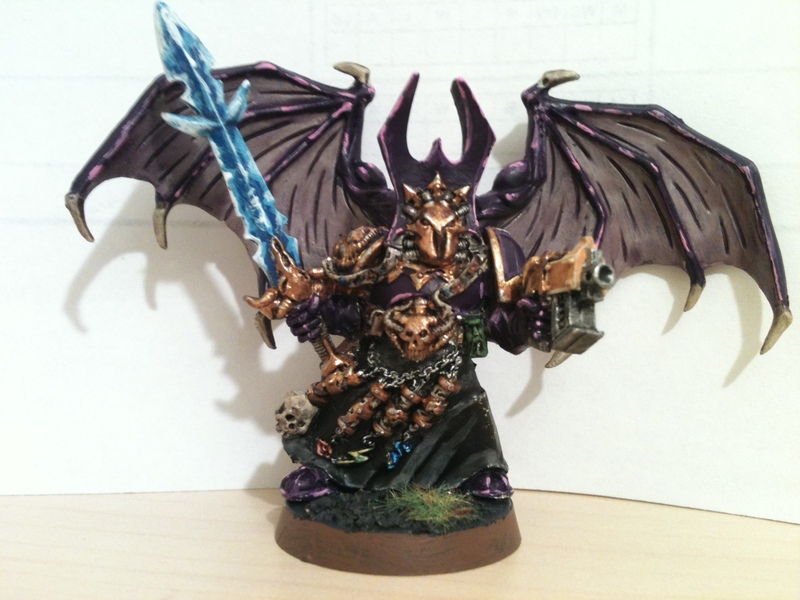 An older metal model I bought on eBay, converted with a pair of wings from the plastic Possessed box ‘cos his backpack was wrecked. Finally finished my Guardian squad 😀 They were good fun to paint, with lots of highlights etc. I especially enjoyed doing the spirit stones. 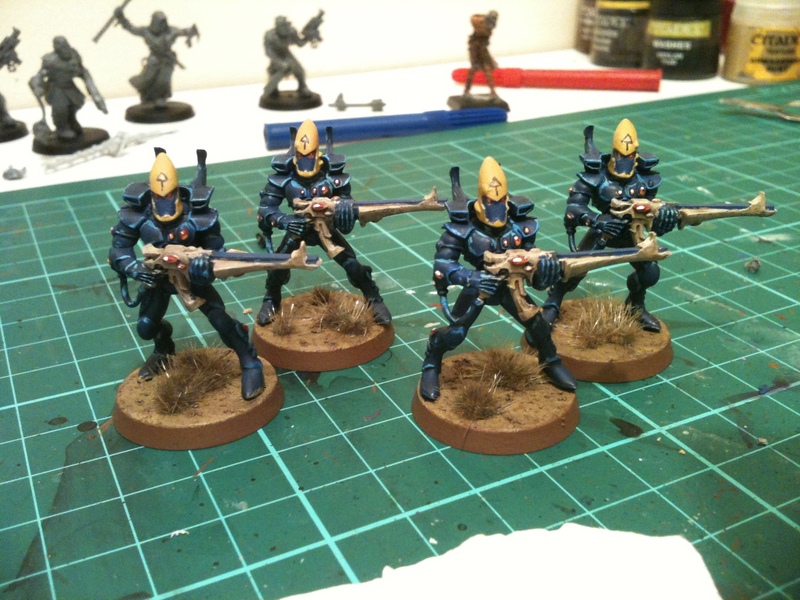 The other 4, finished while the rest were sitting in the window of GW. 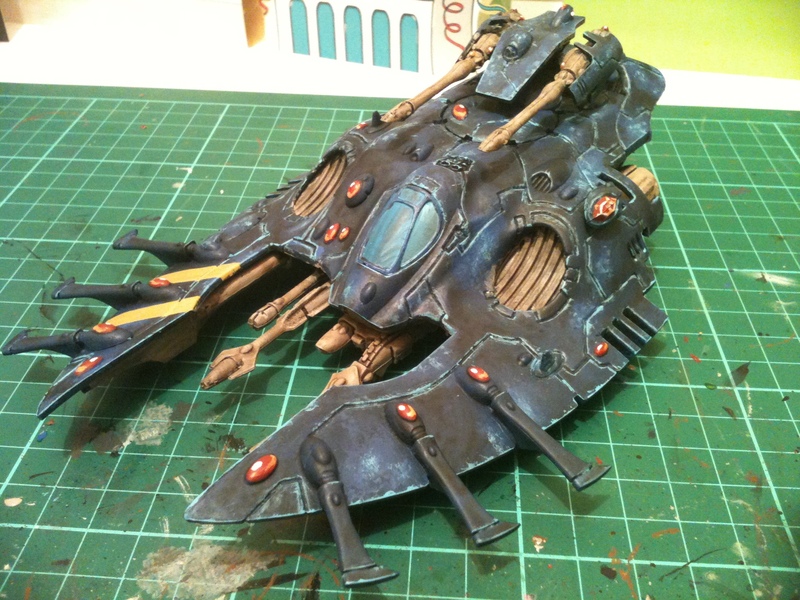 The Wave Serpent. I picked this up accidentally when my brother bought some ‘Nids off a friend of his. 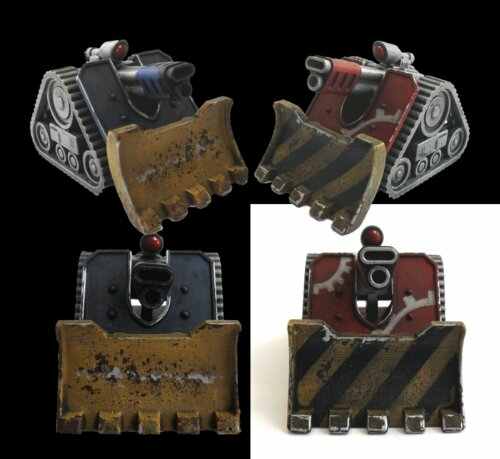 When we opened the box, as well as a horde of ‘Gaunts, there was a Wave Serpent and a Falcon grav-tank. Both had only been primed black, so I took the opportunity to paint one! 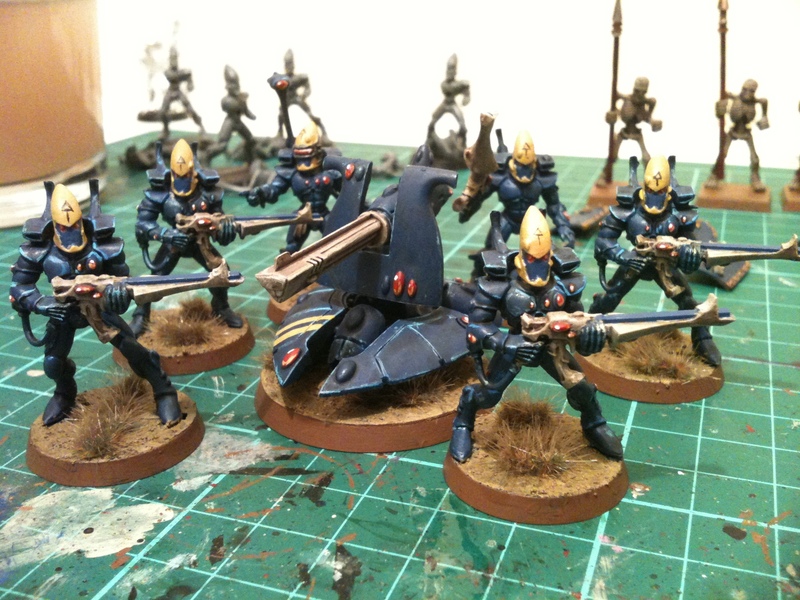 I probably won’t be painting more Eldar for some time, which is a shame, really, but Dark Vengeance is on it’s way! 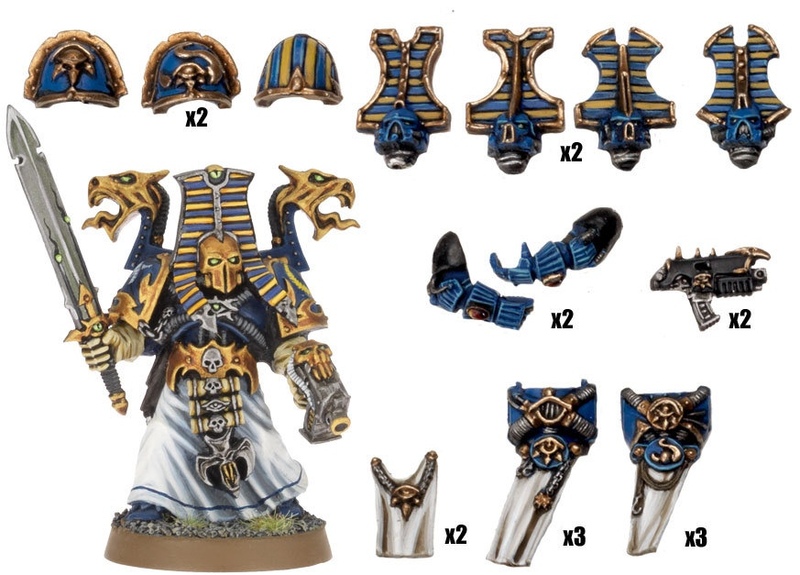 Along with all the shiny new stuff, GW are releasing resin “Upgrade Packs” for Thousand Sons and Noise Marines. 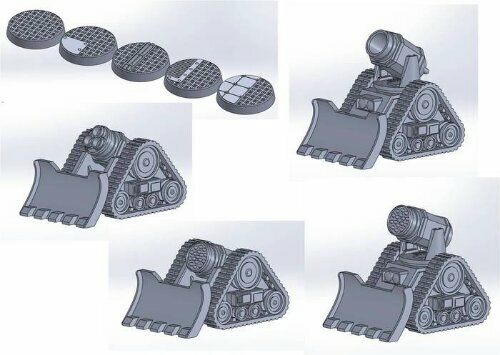 The idea is you get a box of plastic CSMs, then add in the new kits to upgrade them to the now-Elite slot specialist Marines. First, the Thousand Sons upgrade pack. It includes enough bitz to convert 8 “normal” Chaos Marines into Thousand Sons, but you could probably manage more with imaginative distribution of parts. 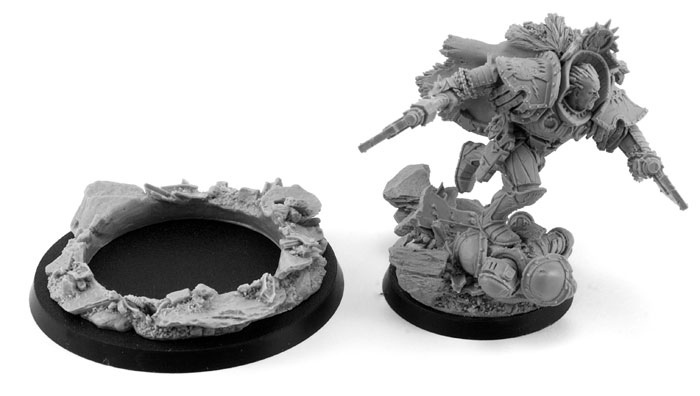 The kit also includes a Finecast Aspiring Sorceror, and for £13 RRP, it’s not bad. You get a “hero” miniature plus a bunch of conversion parts. Next up, Noise Marines. There are 2 kits for them, each costing £9. The first includes a Sonic Blaster, a backpack (probably a Doom Siren as well), a couple of heads, a Champion’s power sword, a Blastmaster and a torso. The second is a pack of 5 Sonic Blasters and a Blastmaster. 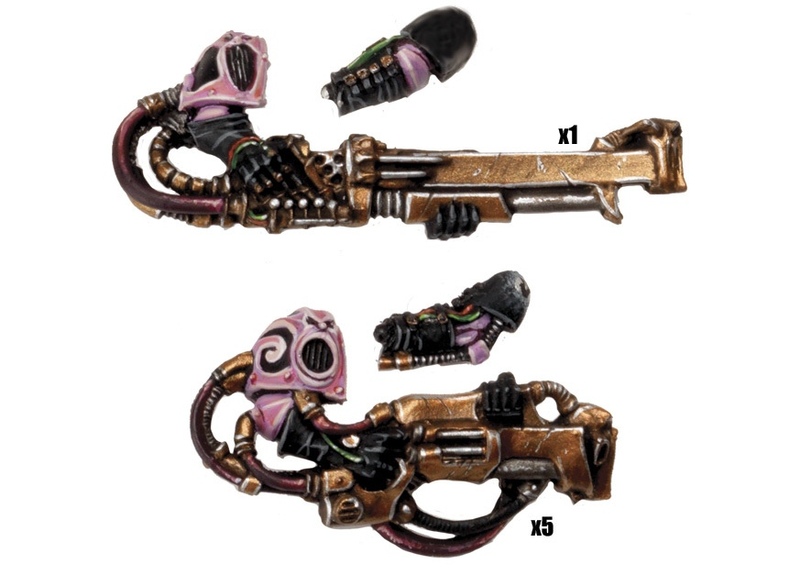 This one might be worth picking up, because according to those who’ve seen the new Chaos Marine codex, the Blastmaster has become one of the best squad-based weapons in the game. I’ll probably be putting some Noise Marines in my new list, along with about 60 Cultists. These kits are available for order/preorder here. 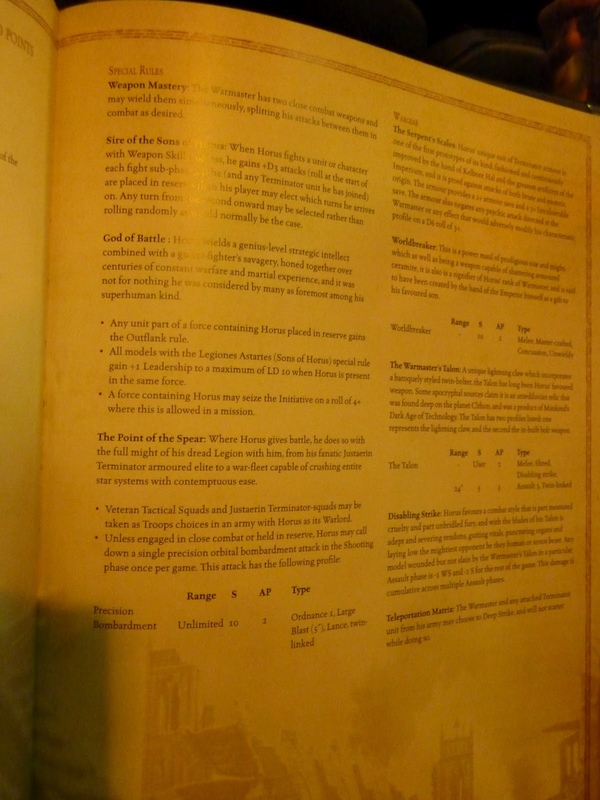 Pics of the rules for Angron & Horus from “Betrayal” have cropped up online. All sources are anonymous. 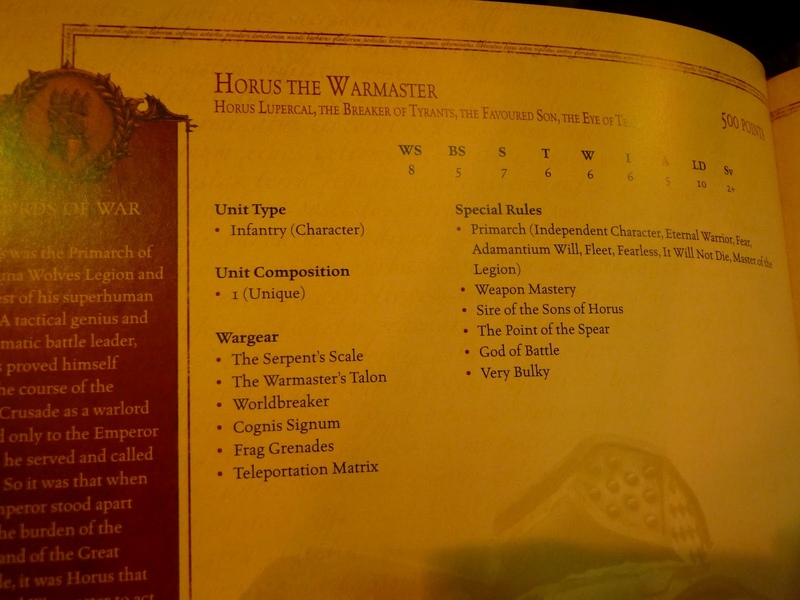 Horus’ “Worldbreaker” will kill stuff. Period. 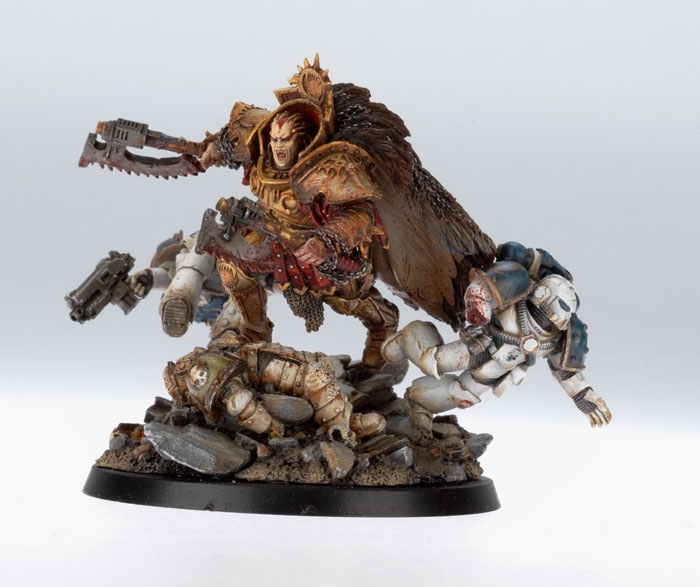 Chaos Marines available to Advance Order! 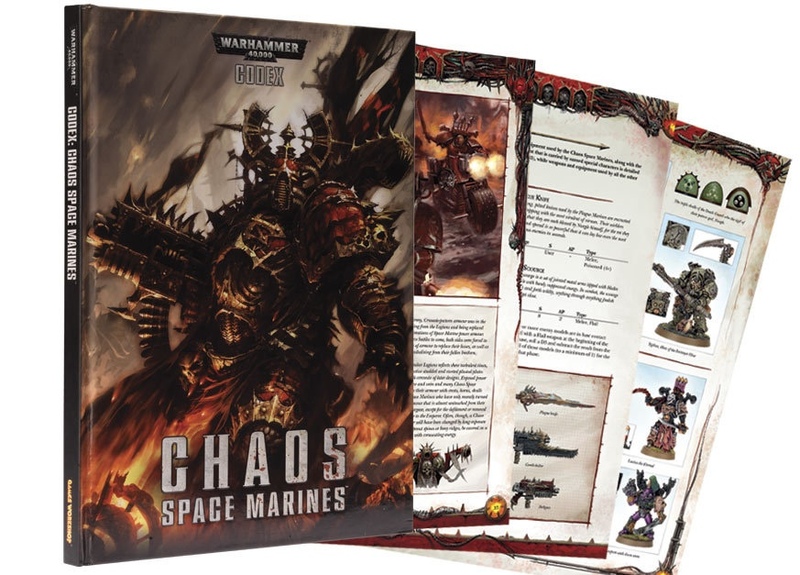 New Chaos Space Marines are available to advance order from Games Workshop here. But, I’d recommend you go to Total Wargamer, much better value. 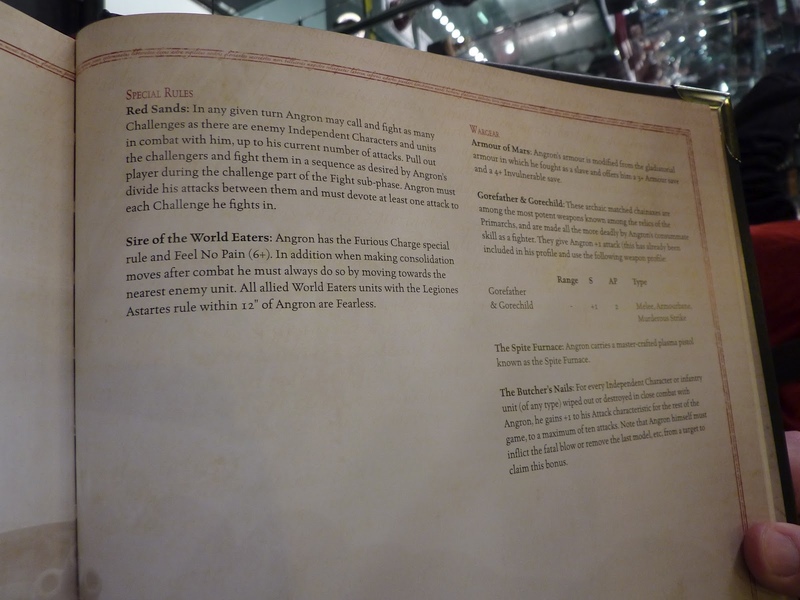 There’s a new codex, which also comes in Limited Edition flavour. Retail £30. 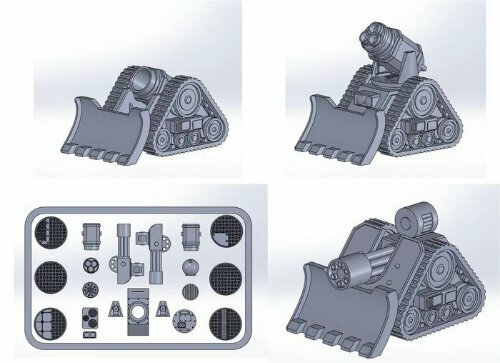 The Maulerfiend is my preferred version of the dual Forgefiend/Maulerfiend plastic kit. The Heldrake dragon flyer is utter crap. There are also a bunch of characters which have been Finecast, as well as some upgrade packs for Thousand Sons and Noise Marines. 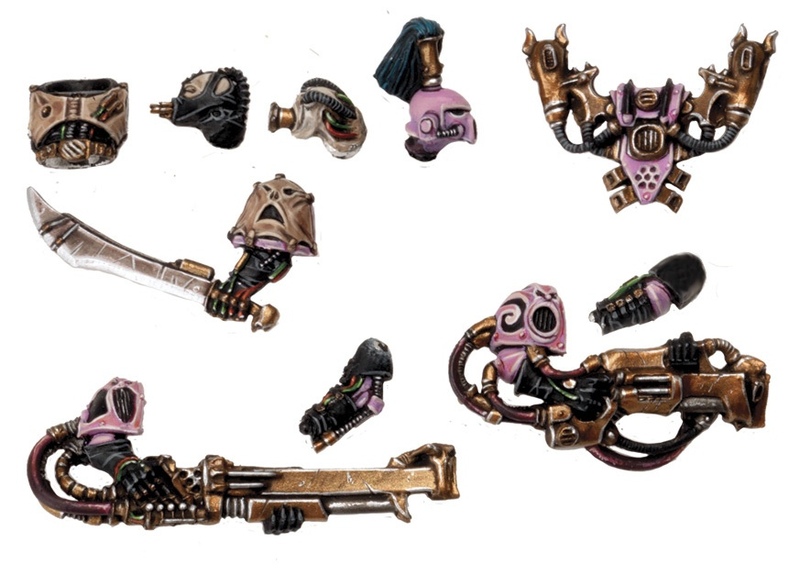 Havocs are now also Finecast, which has to be one of the worst moves by GW ever. 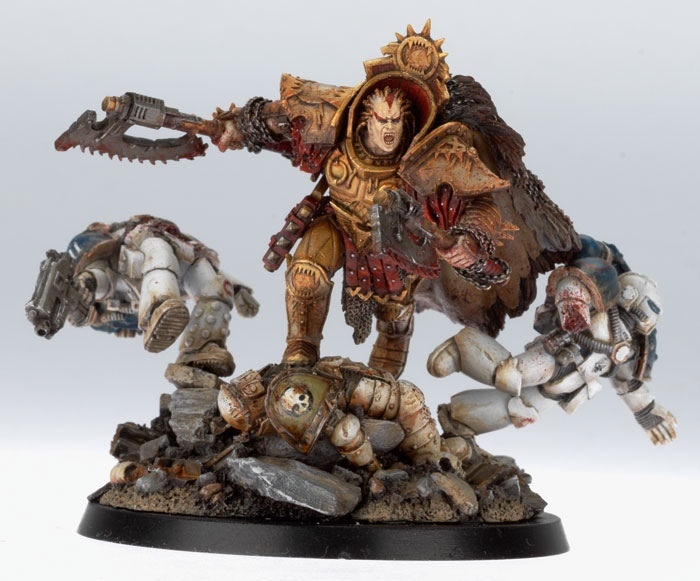 Aaaand the first of the Primarchs announced by Forgeworld for the upcoming Horus Heresy book is Angron, Primarch of the World Eaters Legion. 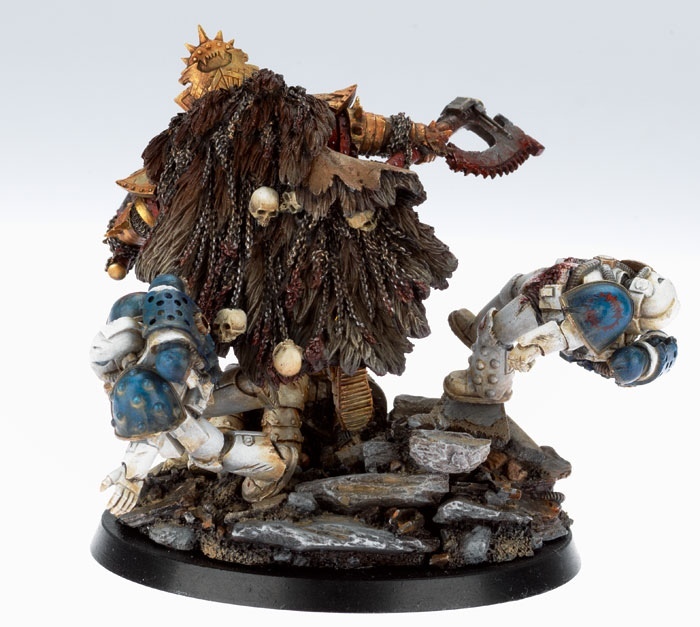 I personally love this miniature because it’s so dynamic, and displays the berserker nature of Angron, who is smashing his own men aside to get to his foes. Included is a scenic base with an indent in it, in which can be placed Angron on his 40mm base. 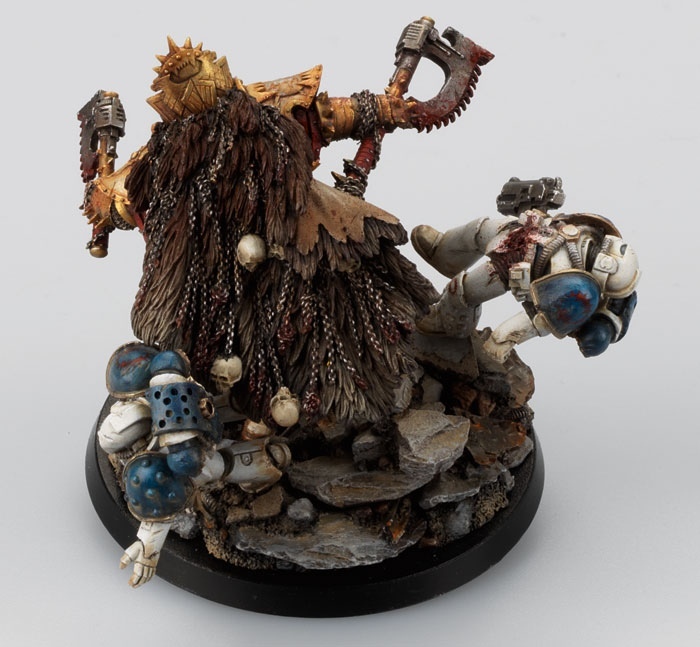 Also, uncommon for a Forgeworld product, Angron has his own bawks. 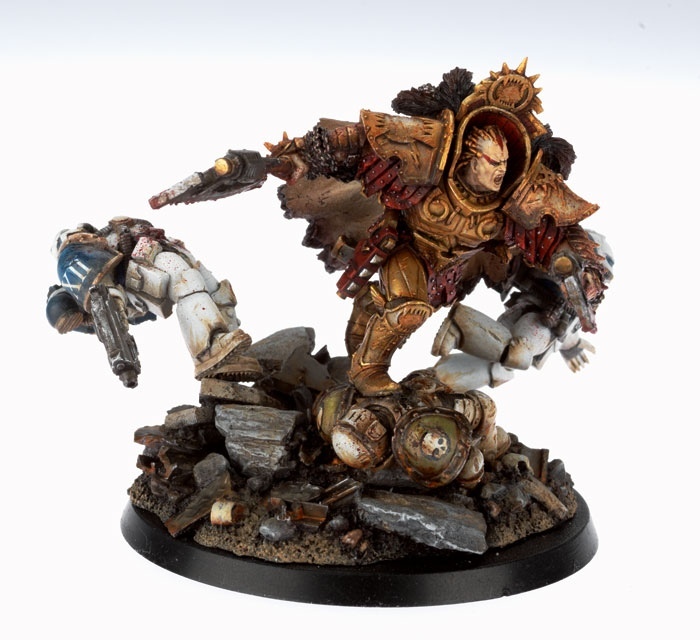 This awesome miniature of the Primarch will be available to buy at Games Day UK this Sunday (September 23rd) for the unfortunately hefty price of £50.00. 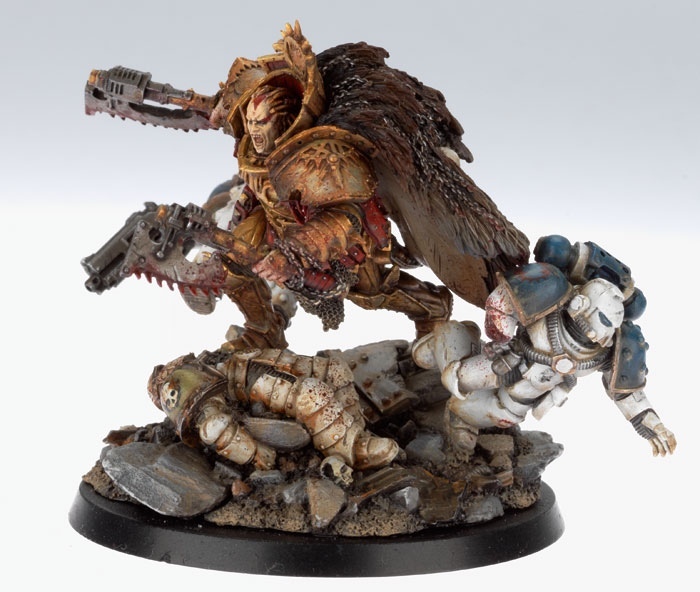 A number of retailers have issued word today that they have been informed by Games Workshop that the standard Dark Vengeance starter set is delayed until further notice. We’ve pushed the release for dark vengeance back. As soon as Dark Vengeance is available we will send them and notify you. You can begin shipping Dark Vengeance to your customers as soon as you receive them. They can begin to sell Dark Vengeance as soon as they receive it from you. 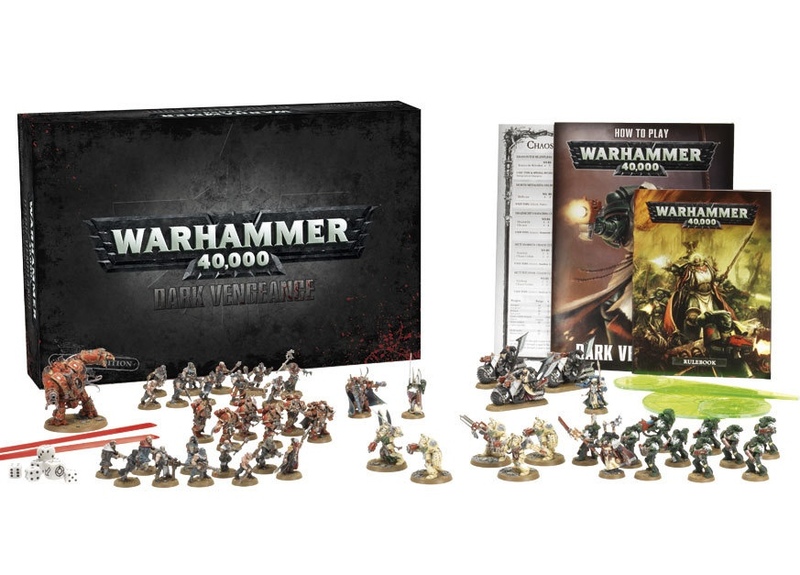 There has been no word as yet as to what has caused this delay, but some retailers have mentioned a desire by Games Workshop to sell every single Limited Edition before beginning to sell the standard box. Interesting sales decision, if a little pointless. There is no word on when the standard edition will be released. 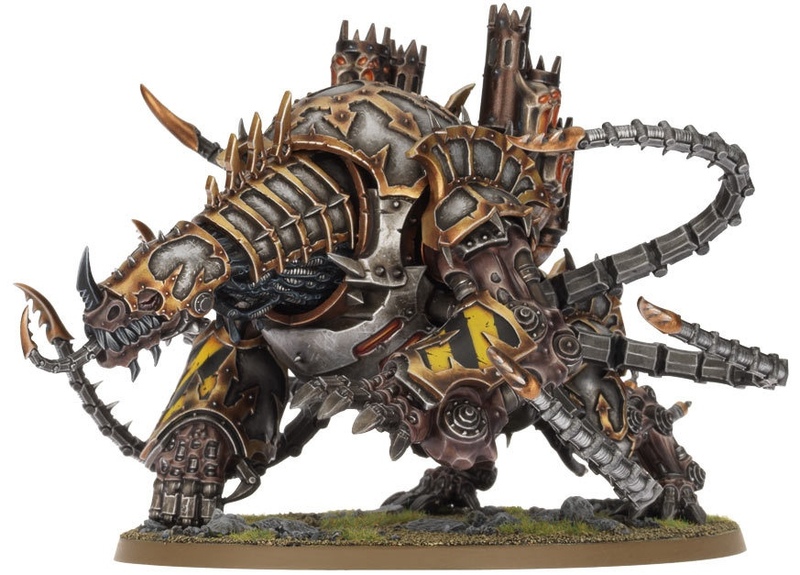 The Games Workshop website lists the Limited Edition as unavailable, and the Standard is available to preorder, but no release date is listed.